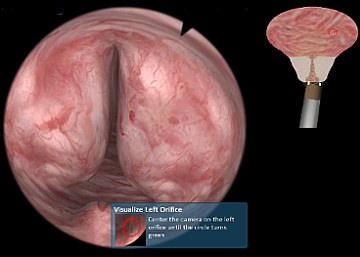 The basic skills module covers all aspects of a complete TURP procedure: the trainee learns how to safely enter the urethra, do a proper visualization of the bladder, and identify important landmarks such as verumontanum and ureteral orifices. Crucial learning objectives of this module also include efficient coagulation of bleedings to avoid severe complications later on. This module contains eight different patient cases for full TURP procedures to acquire all skills necessary to safely perform a complete transurethral resection of the prostate. The TURP courses teach an understanding of the anatomic landmarks, depth perception and hand-eye coordination during urologic surgery, and how to control flow and bleedings for a clear view during the BPH procedure. 4 patients with different multiple papillary and solid tumors offer the trainee the opportunity to perform a complete TURB procedure in a safe environment without involving patient related risk. The goal of this urologic surgery is to remove bladder tumors in various locations, ranging from easily accessible to locations that are more difficult to reach. 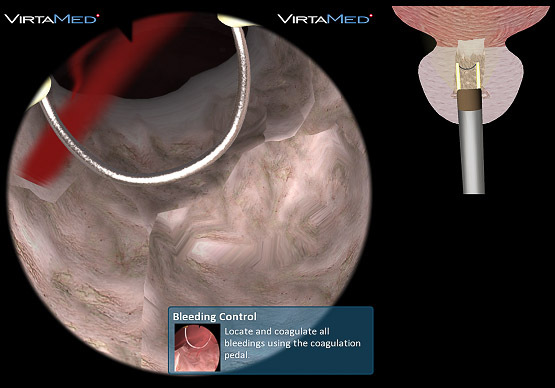 Managing complications is also one of the learning objectives: bleedings have to be controlled, and the risk of perforating the thin bladder wall has to be avoided. 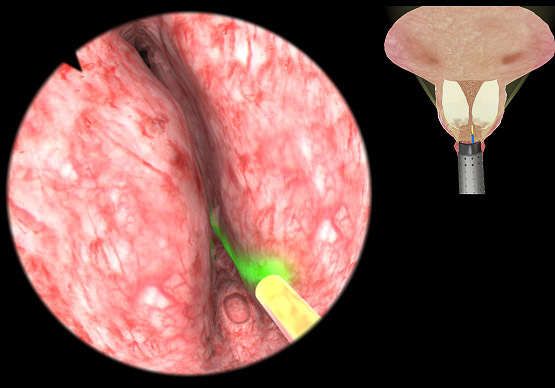 This BPH education module allows trainees to gain experience in removing prostatic tissue with ThuLEP and HoLEP. The prostate sizes range from 55-90 grams. Trainees learn how to use different power settings and laser techniques such as vaporization, enucleation, or vaporesection. 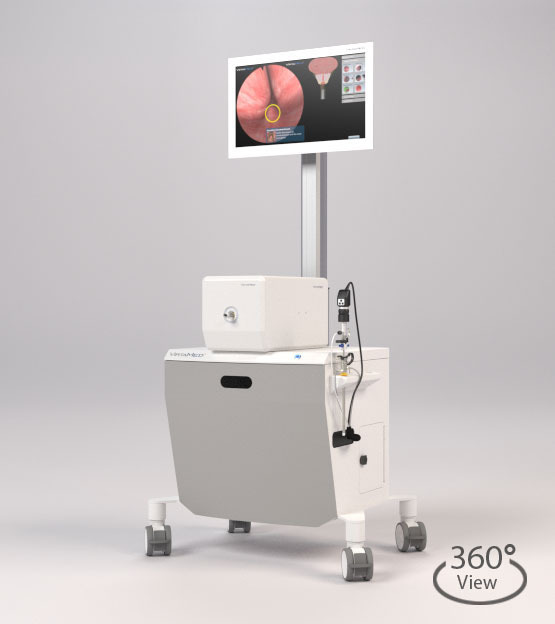 Safe handling of the laser fiber without any harm for the virtual patient is one of the main learning goals of this laser BPH training. 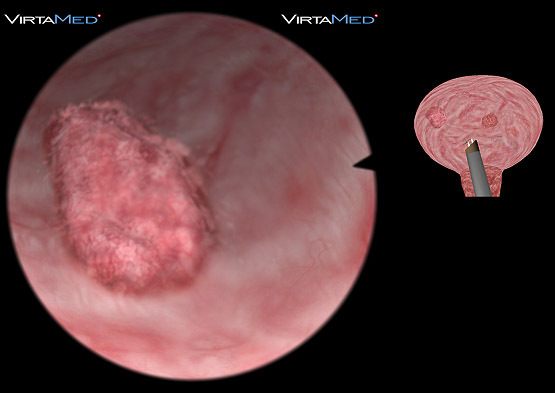 VirtaMed UroSim™ comes with a Simbox platform, which can be mounted on a nice display cart with high-end PC and height-adjustable 23” multi touch-screen. It can also be used as a mobile, stand-alone version at conferences or during training sessions. The Simbox gives realistic tactile feedback and uses original resectoscopes and instruments to ensure a complete simulation experience and facilitate manual skills training. The original scopes feature in- and outlet valves for fluid handling, different cameras (0, 12 and 30 degree optics) and different working elements for electro surgery or morcellation – just as in real life. Even the foot pedals for electrosurgical cutting, morcellation or coagulation are included and function exactly like in the operating room.